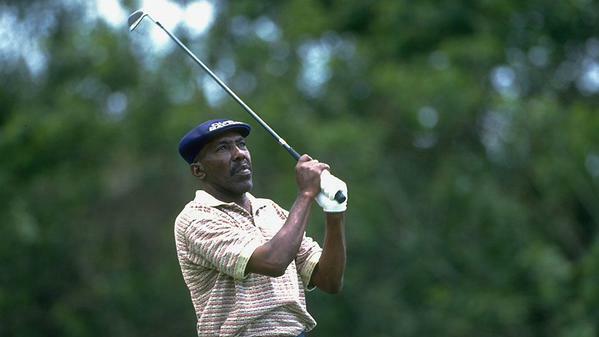 Golf pioneer Calvin Peete dies at 71. Although there was no cause of death given, the golf pioneer’s death was confirmed by The Murray Brothers Funeral Home in Atlanta. Born in Detroit, Peete moved to Pahokee, Florida to live with his father, a vegetable picker. Peete dropped out of school in the 8th grade and picked vegetables, beans and corn. At age 12, he fell out of a tree, breaking his arm which never healed correctly. It was this injury that would eventually give him his edge on the golf course. Peete developed a personal technique to compensate for the injury, which resulted in remarkable accuracy. “A self-taught player who never hit especially long, Peete was one of golf’s most accurate drivers and fairway players. He won his first Professional Golfers Association tour event, the Greater Milwaukee Open, in 1979, and from 1982 through 1986 was among the tour’s most prolific champions, winning 11 tournaments, including four in 1982. Pete is survived by his second wife Pepper and seven children. He was 71.